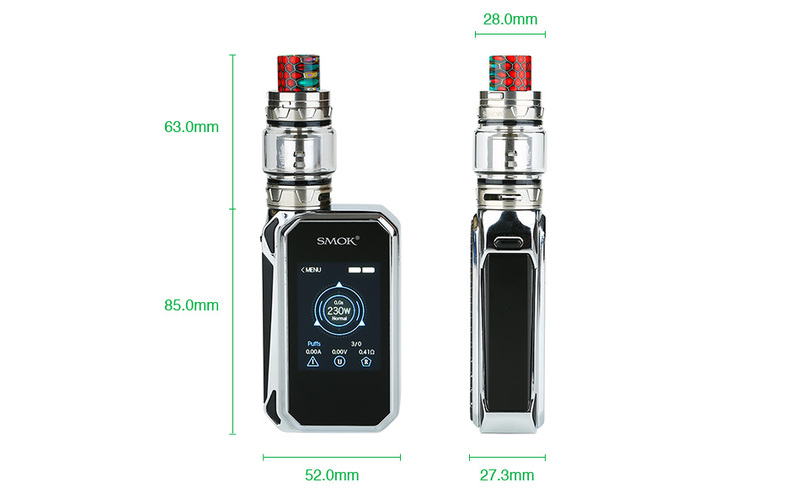 The SMOK G-Priv 2 Kit Luxe Edition is a perfect combination of 230W G-Priv 2 box MOD and TFV12 Prince Tank. The new G-Priv 2 has a modern prismatic appearance with superb texture, which gives you a good hand-feel. Its highly sensitive 2.0-inch color touch screen makes the operation never so easy. The max 230W output will supply enough power for vapor chaser. Paired with a top filling & bottom airflow TFV12 Prince.